On December 31, 1970, President Nixon signed the Bank Holding Act into law which allowed for the striking of the Eisenhower dollar. This dollar was coined in 1971 to honor both President Dwight D. Eisenhower and the Apollo Moon landing. 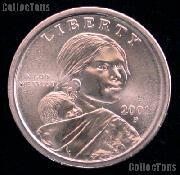 The coin was designed by Chief Engraver Frank Gasparro. The image on the reverse side of the coin is an adaptation of the official Apollo 11 insignia. In honor of United States Bicentennial, a new reverse was designed for the 1976 dollar, an image of the Liberty Bell superimposed on the moon, the work of Dennis Williams. 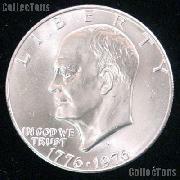 There was a complication in 1971 which forced the creation of two types of Eisenhower dies, one in high relief and one in low relief. 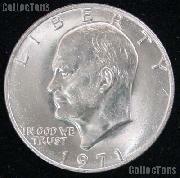 The high relief die was used for 1971 Proofs while the low relief dies were used for all 1971 business strikes. The Bicentennial coins exist with either the Type 1 reverse, which has broad letters, or the Type 2, which has narrow lettering. 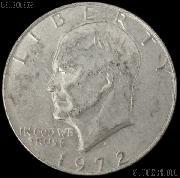 Small quantities of silver-clad dollars were minted in Denver in error and may be found dated 1974-D, 1976-D or 1977-D.
Eisenhower Dollars were issued by Philadelphia, Denver and San Francisco Mints. 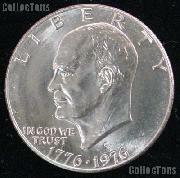 Interested in learning more about Eisenhower Dollars? Authoritative Reference Eisenhower Ike Dollars 2nd Ed.